The whole issue yesterday got me thinking. 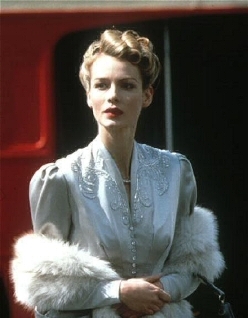 While in Haywire I was complaining that (among other things), there was only one woman of note in the film and that was weird and bad, I can think of lots of other movies where I’m super grateful for the lone woman. In some movies I’m ready to raise the red flag and go to war if they don’t meet the Bechdel Test, and then there are other flicks where I’m absolutely flabbergasted that they managed to get what they did and I’m positively thrilled with how they handled it. And that’s a bit interesting. Why do I have this double standard? Like we talked about on Friday, it all comes down to context. In my general perspective, any film set in the present day, dealing with just about anything that isn’t a monastery or an all boys school or something of the like, has no excuse not to have at least two competent, fleshed out female characters. There is female representation in nearly every industry in our country. Now, if your film is set in a different part of the world, there might be other reasons you don’t have female characters, but if you’re making a basic movie about basic western stuff, then shame on you if you don’t manage to include a couple ladies. We are half the population, after all. But. I am completely aware of history. I am fully cognizant of the fact that for centuries, women were not involved in the stories that shaped history – not (and this is important) in any recorded way. So when a filmmaker does happen to think, “Gosh, I bet women were involved in this somehow, and not just with their lady bits and their silly romantic notions,” I tend to get very excited. 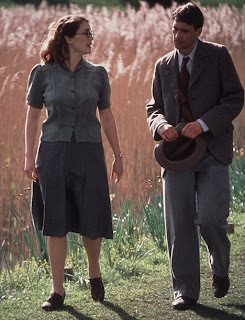 I’m talking here about Enigma, a really fabulous drama from about ten years back that stars Kate Winslet, Dougray Scott, Jeremy Northam, Saffron Burrows, and probably some other people you’ve heard of. Oh right. Matthew MacFadyen. Anyway, it’s about the codebreakers of Bletchley Park during WWII, and it’s bloody brilliant. 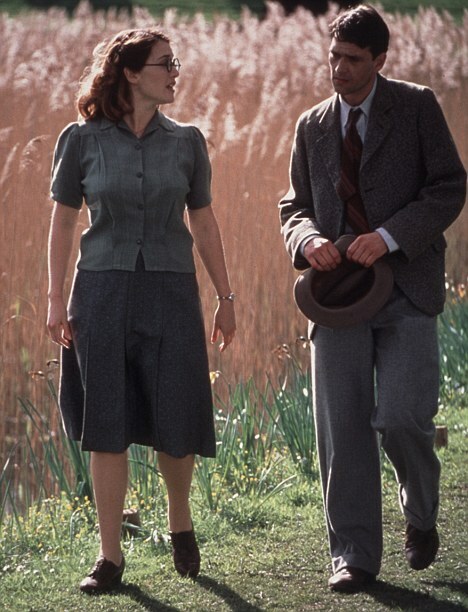 The basic plot of the movie is as follows: Tom (Scott), a disgraced mathematical genius, is being brought back to Bletchley to help break back into the Nazi’s enigma code. They had broken the code before, with Tom’s immeasurable help, but now the Germans have gotten wise, and they have to break it again. Tom left because he had a complete nervous breakdown when Claire (Burrows), a beautiful type analyst working in one of the huts, dumped him. 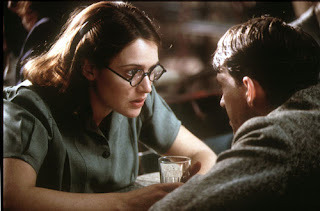 As soon as he’s back, he’s off looking for Claire, only to discover that she’s gone missing, and her roommate, Hester (Winslet), is the only one looking for her. Also that she might have been a spy. From there on, it’s a rollicking and tense thriller with car chases, codebreaking, Tom and Hester desperately trying to figure out what happened to Claire and how to break the enigma code, and all of it terrifically British and engaging. It’s a lovely film, you should definitely watch it. But none of that is why I brought it up here. I mentioned Enigma because the characters of Hester and Claire are actually, well, good. Unnecessarily so, in fact. World War Two was still a time when war, and codebreaking, were dominated by men. We have historical evidence that women contributed, as typex girls and analysts of course, but the film had no more obligation than usual to portray this. They easily could have gotten away with a bland picture of romance and female stereotypes, and the movie would have been poorer for it, but not noticeably less functional. What I’m saying is, they didn’t have to give us historically accurate, interesting characters. But they did. When we meet Hester (we only see Claire in flashback throughout the film), we see her entirely through Tom’s eyes. She’s a slightly dumpy, cranky, unglamorous file clerk with a massive chip on her shoulder. She is also, however, undisputedly brilliant. One of the first things we know about her is that she won a crossword competition in London a few years ago. She beat two men. All of them were recruited to Bletchley, the men to become cryptanalysts, and her to become a file clerk. The film doesn’t make a stand on this. They don’t reverse history and give her a place in the cryptanalysts room, or decry the horrid sexism (truly horrid though it was). It just states this. As a fact. As a real, historical fact that really faced hundreds of women recruited to the war effort. I freaking applauded that scene. The movie made no effort to cover that up or even to dilute it. They show the women for what they were: hardworking, dedicated, and extremely talented. I mean, they were simultaneously listening and transcribing Morse code of complete gibberish, and were known for their extremely high level of accuracy. It’s pretty cool. What’s even cooler, though, is how the narrative, quietly and simply, recognizes the heroism in these women. Before they leave, one of the women stops and asks Tom if what they’re doing is actually important. And he tells her the truth. That it’s the most important thing in the war. So, what am I really saying here? That I like Enigma and think you should watch it? Obviously. But I’m also saying that there’s something to historical representation of women, and there’s even more to doing it well. 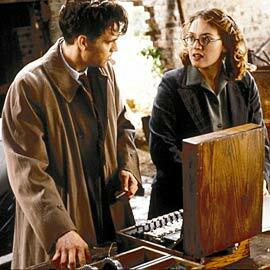 The movie didn’t have to do nearly as much to address the issues of women in the codebreaking services as it did. None of this was directly relevant to the plot, and in cases they had to go out of their way to get it in. So why do it? Because it is important. It’s important to actually show the world that characters live in, with all of its flaws and facets. The world of WWII Britain, remarkable though it was in many ways, was still a world marred by sexism. The movie doesn’t try to erase that. It just tries to represent it. After all, you can’t solve a problem you don’t know exists, right? 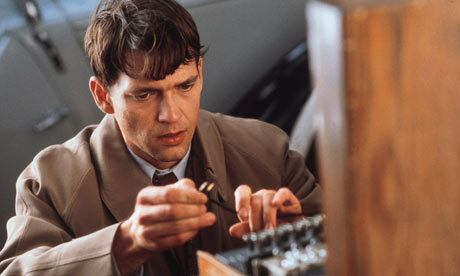 Also, Dougray Scott does a great furrowed brow. Women are of different categories and in this blog we will talk aout women. There is a project https://www.bestbritishwriter.com/oxbridgeessays-com-review/ work with the title of women. This is such a perfect and an ideal blog for the readers. I am sure about the reality of this blog and i woul;d like to share it.